According to the World Health Organization (WHO), Tanzania is among the 30 countries with the highest maternal mortality ratios (MMR) in the world. It had an estimated 8,200 maternal deaths in 2015. Vodafone Foundation’s new Emergency Transportation System (EmTS) is looking to counteract this. 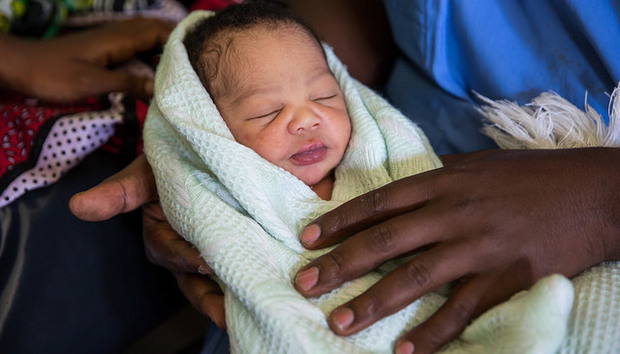 It works by combining technological innovations, public health interventions, private sector solutions and community engagement to provide a transportation program commonly referred to as “Ambulance Taxi” service or “Uber for the Pregnant” in Tanzania. All local women in labour need is access to any phone, Carrie Cafaro, the Vodafone Group Foundation’s Head of Programme Implementation (Africa), explains to IDG Connect. What is the Emergency Ambulance System (EmTS) and what problem does it try to solve? The Vodafone Foundation started the Emergency Transportation System (EmTS) [launched July 2015] to get pregnant women and new-born [babies] the appropriate level of care when they needed help. It is currently in two districts of Tanzania with a population of about 1.12M. It's not an ambulance service such as Flare or Red Cross, but these are community taxi drivers who we have contracted to be on call in the villages to assist women in need. So it's like Uber in that way. The dispatch centre where the toll-free hotline is located is available 24 hours [a day] seven days a week. Anyone can call into the hotline and it's toll free so they don't need credit or anything. Then the dispatchers tell the taxi drivers where to pick up the woman or child and what health facility to take them to. Tell us in detail about the hotline, tech features that make it possible for you to operate and serve patients, ambulances/ hospitals and other stakeholders? The EmTS takes an integrated approach towards technology in order to address the three delays to reduce maternal mortality and improve the accessibility of health care for people living in rural Tanzania. These three delays are associated with seeking, reaching and receiving quality care. The phone line is free to any network caller. Dispatch staff use a mobile application that triages maternal and new-born emergencies and helps determine the right transport provider to respond to the call. The mobile application software, MangoLogic, is able to be updated and changed by program partners and is open source to the Tanzanian Government. Dispatchers, taxi and ambulance drivers, health facility staff and Local Government Authority (LGA) are all connected through a Closed-User-Group (CUG) which allows unlimited calls to improve coordination and communication. The application automatically prompts dispatchers to collect information, does not require the internet to function and automatically uploads data when network becomes available. A solar charger was provided to dispatch help in case of power shortages. Once a driver is identified, he/she is dispatched to complete the emergency transfer and the application tracks the progress of the emergency journey and reminds dispatchers to complete follow-up with the receiving facility. Only once the journey is complete will a driver be paid. How do you pay drivers? What are the payment methods? Mobile money, cash etc.? One of the notable technology advancements in the program was creating an automatic payment to drivers from the application. An automatic programming interface (API) is used to link Vodacom's mobile money transfer platform, M-Pesa, with the application, thus removing management and timeliness tensions related to payments. Once the taxi driver has arrived at the clinic the driver is paid via M-Pesa. How much is your subscriber/download base (for the app)? How many patients (approximately) have you served so far? How many ambulances have you offered so far? How many hospitals have you served this far? The number of patients transported thus far has been over 4000. The emergency transport solution has 101 vetted community taxi drivers who are registered to provide transport when there is an emergency close to them and the dispatch calls them as needed. It is not an app that is on a phone, it's a toll-free number that anyone can call into. The dispatch centres have an app which takes them through standardised questions with the caller to gather information about the emergency (where is the emergency, what type of emergency is it). The app then indicates which health centre has the capacity to handle this type of emergency and what taxi or ambulances are around that area. The dispatcher then arranges the transport. Once the patient is delivered to the correct clinic, the taxi driver is paid. The system works with 119 health facilities. The ambulances are able to reach about 25% of the mother and baby emergencies which do occur and the remaining emergencies are reached by the taxis. What plans/structures have you laid down for the program’s sustainability beyond philanthropy stage? EmTS was designed with sustainability in mind past the philanthropy stage. The dispatch centre is mostly staffed by Tanzanian Government employees and the ambulances are all public ambulances which are always the first point of call. The dispatchers always call the ambulances first to see if they are available and if they are not, then the closest taxi to the emergency is dispatched. The EmTS has been endorsed by the Government of Tanzania. The Government authorities have started actively promoting the establishment of private taxi driver associations. Witnessing the importance of a functioning transportation system, district and regional medical officers renewed their efforts to increase availability of their own ambulance services by enlarging their fleet and enhancing their repair and maintenance. What are some of the greatest challenges that you have encountered and how have you addressed them? At the beginning, one of the greatest challenges was shifting the mindset that only ambulances could provide transportation for emergencies. As the stakeholders saw the data which was coming in showing that ambulances could only reach a limited number of emergencies for women and babies, the understanding of the use of basic cars to transport emergencies became more acceptable. Another great challenge was the quality of care received when the women and babies arrived at the clinics. This has been overcome with intense training and improved oversight and management. Apart from helping mothers to get to the nearest clinics for delivery, is there any other intervention that you are offering to ensure they actually get the help once they arrive? Yes, the program has invested substantially in training on basic and comprehensive emergency obstetric and new-born care for the health workers working in the clinics and hospitals. The program has trained 248 health care workers on providing either basic or comprehensive emergency obstetric and new-born care. The program also invested in infrastructure improvements for select health facilities which were receiving the most severe emergencies. Dedicated caesarean section theatres have been built, and existing post-labour wards renovated and extended, preparing the hospitals to bear the increased patient load and average case severity. The program procured more and core clinical equipment for caesarean section theatres, and basic equipment was delivered to the labour and delivery ward. We have equipped lower level facilities with Non-pneumatic Anti Shock Garments (NASG), a first-aid device used to stabilise women who are suffering from obstetric haemorrhage and shock.